If you are looking for second chance banks in NYC, chances are good that you have been added to Chexsystems or Early Warning Services due to financial issues that you might have had in the past. It can be easy to get added to the Chexsystems or EWS database; you might have bounced a few checks, for example, or you might have maintained a negative balance with your bank for a certain period of time. Even though it can be easy to be added to these databases, getting by without a bank account most decidedly is not easy at all. It can be tough to store your money, cash your checks, pay your bills and more if you don't have a bank account. With many banks checking Chexsystems and Early Warning Services before granting bank accounts, however, it can be tough to open up a bank account for years after being added to one of these databases. Even though getting a checking account while on Chexsystems can be tough, however, you do have options. Believe it or not, there are banks that don't use Early Warning Services or Chexsystems at all. Financial troubles can happen to anyone. If you've been through a rough time and had your checking account closed, you may be shut out of programs such as on-line bill pay. You may also be struggling to rebuild your credit. 1) Is Chexsystems a credit reporting agency? Technically, no. Chexsystems is a nationwide consumer reporting agency that tracks checking accounts that have been closed due to bounced checks and unpaid fees. While a poor Chexsystems record cannot directly impact your credit score, non-payment of bills can impact your credit score. A poor Chexsystems score and a poor credit report often go hand in hand. Unfortunately, once you have a negative rating in ChexSystems, other banks may not want to handle your account. 2) Is Chexsystems accurate or legitimate? If you've been declined for a checking account, you have the right to request a consumer disclosure report for review. If you find errant charges or indications of identity theft, you can dispute your Chexsystems score and file an identity theft affidavit. 3) When should I use a Credit Union that don’t use Chexsystems? If you've been through a rough financial patch and would like a fresh start, many regional credit unions offer Second Chance bank accounts. There are fees and some limitations, but with care you can build the 6 months of accurate checking account history needed by most credit unions to move into a regular account. 4) Why would a Credit Union would not use Chexsystems? It's important to note that most credit unions do use Chexsystems or a similar system to track the fiscal histories of new clients; this is simply responsible due diligence on behalf of existing credit union members. 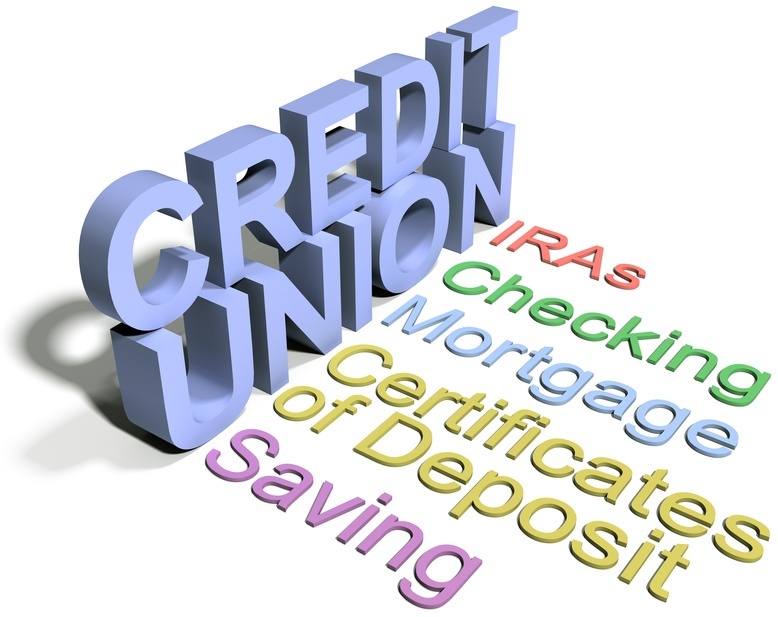 However, credit unions are nonprofit organizations with a public service component. When you're starting over on your checking account, credit unions will most likely offer a less restrictive second chance account with fewer fees and restrictions and a better chance to move into a regular account sooner. How Do I Work Around The Blacklist From Chexsystems? First Service Credit Union serves the Houston area and offers second chance checking or fresh start checking. This service requires a $9.00 monthly fee but includes a Visa debit card, online bill pay and online banking. After six months of successful use, you can move to a high yield or free checking account. Near Cleveland, Ohio, you can set up a second chance account with Cardinal Credit Union. You will need to pay a monthly fee of $8.95 and you'll be able to get $250 in overdraft protection. Please note that this checking account will not come with any checks; you'll get 10 free bill pay transactions each month and a debit card. Alliance Credit Union offers members easy access to ATMs and has a program called FreshStart Checking. This account requires a $10 monthly fee, access to 28.000 ATMs and free online banking and bill pay. If you can make deposits via direct deposit, the monthly fee may drop. Texas-based Prestige Community Credit Union offers a Fresh Start program that has a $10 monthly fee once you set up direct deposit, free online bill pay, free access to check images, and an instant access Visa debit card. This card can be used with no fees at any Prestige or CU Here location; nominal fees may crop up if you withdraw cash out of this network. With physical locations near Gallup, New Mexico, First American Credit Union offers a terrific Second Chance Checking program. You'll get 50 free transactions each month and free mobile banking. You will need to make a $50 minimum deposit and pay a $10 monthly fee. Once you've had 12 months of successful account handling, you can move to a regular checking account to reduce your fees. 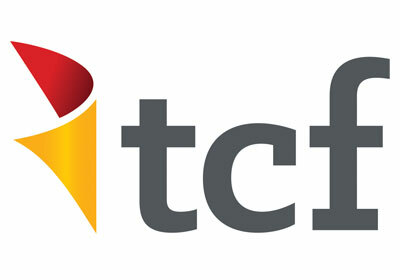 Citizens in the Houston Metro area can enjoy access to 2nd Chance Checking at the Houston Metropolitan Federal Credit Union. If you don't live in Houston but have a family member that banks at HMFCU, you may still qualify. 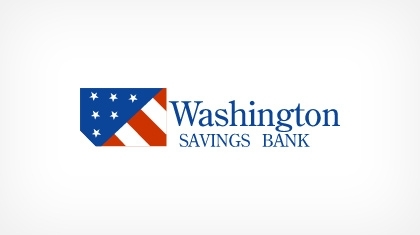 This 2nd Chance Checking account will waive fees if you maintain a balance of $250. Overdraft protection from your savings is an option, and there are several free electronic tools available once your account is set up. The Freedom Checking Account available from the St. Louis Community Credit Union gives users several options. After six months of successful use with no overdrafts, you can upgrade to a less restrictive checking account. Within 60 days of opening, you can apply for $200 in overdraft protection privileges, and you'll get a free debit card, bill paying services and direct deposit options. If you live in or near St. Louis or have family that bank with St. Louis Community Credit Union, you may qualify for an account here. To join American Airlines Credit Union, you must either work in the aircraft industry or have a family member who has a membership. The Ascend Checking with American Airlines Credit Union offers overdraft protection from savings, free online management and bill pay, access to ATMs at many kiosks across the country and a $9.75 monthly service fee. There's no minimum balance as long as you have enough to cover expenses, and access to credit education is also available. Residents of Los Angeles will have access to the Foothill Credit Union, thanks to their Rebound Checking program. Once you sign up and the direct deposit data is working, you'll get a free Mastercard debit card, free bill pay and free electronic statements. Checks are also available, but there will be a fee for this option. Once you've had success with this account for a year, you can switch to an account with no fee. However, while you're building your new banking habits, be aware that the monthly service fee for this credit union is only $6.00 per month. Checking accounts can be touchy, particularly if you're just starting out. Should you suffer a financial setback, or make a mistake because you have both checks and debit card purchases pulling out of the account, you can easily become overwhelmed. It's very easy to drop below your minimum and the find yourself hit with insufficient fund fees, late fees and the like. These fees can add up and make a checking account unusable and expensive. With proper handling and a little practice, you can get your checking account back in control. However, if you've been blacklisted by ChexSystems, it may be hard to find a bank or credit union that will give you a chance. Because so many banks and credit unions use ChexSystems as a screening product, you'll need to check out credit unions in your area to determine which offer a second chance checking or Rebound program. If possible work local. If your employer pays you through a credit union, talk with them to see if you can get a checking account set up in spite of your Chexsystem status. If you have recently attempted to open a new bank account and your application was rejected without good reason, chances are you might have been left pondering on the reason why. If you can relate, then you should know that it’s actually quite common that banks and other financial institutions reject new account applications due to applicants’ faulty banking records, and this might have very well been your case. Don't worry about it, we'll present you with the best available second chance bank accounts! Why Was My Request to Open a New Bank Account Denied? ChexSystems is a consumer reporting agency that may put your name on their blacklist if you’ve ever had a bank account closed as a result of not paying overdraft fees, or similar other banking mistakes. Most financial institutions use ChexSystems to determine whether to accept or decline a new application. Synonymous to how your credit score and report will determine whether or not a given creditor will approve your credit card application, ChexSystems provides banks with a consumer report that allows them to determine if a potential account holder will be an asset or a burden. This is mainly to filter out irresponsible account holders who are likely to avoid paying bank fees. Of course, if you are sure that you have a flawless banking record, then there might be a mistake on ChexSystems, or the reviewing financial institution’s end. If you’re looking to open a bank account online due to bad credit, or if you’ve been searching for a non ChexSystems checking account without much success, then look no more -- “second chance” accounts are alternative bank accounts for people on ChexSystems’ blacklist and they are the perfect solution for someone with a flawed banking record. Just as the name suggests, these bank accounts have been designed specifically for people who need a second chance at proving that they can be responsible account owners. If they stay clear of fees and negative balances, most banks even allow their users to fix their banking history and upgrade to a regular checking account after 6-12 months. BBVA is committed to giving users another shot at responsible banking. Residents of California, Arizona, New Mexico, Texas, Colorado, Alabama, and Florida, can enjoy the benefits of BBVA Compass’ ClearChoice Free Checking, ClearChoice Savings, and Easy Checking accounts, which are all second chance accounts. For more information by state, you can click here. Woodforest National Bank is another great second chance alternative for consumers inAlabama, Florida, Georgia, Illinois, Indiana, Kentucky, Louisiana, Maryland, Mississippi, New York, North Carolina, Ohio, Pennsylvania, South Carolina, Texas, Virginia, and West Virginia. Although there are many fees tied to this account, you can upgrade to a more convenient account type after 6 months of good standing history. Click here to learn more about this account. If none of these alternatives help, you can always look around locally. There are many community banks and credit unions that offer second chance accounts. Since these financial institutions aren’t as picky as the larger corporations, and since they are usually more interested in forming a personal relationship with their customers, you can always explain your position personally. No system is perfect, credit bureaus and consumer reporting agencies sometimes have data attached to a wrong name. So, if you believe there may have been a mistake, get the paperwork to back you up and try to clear up the misunderstanding. ChexSystems provides free consumer reports once a year. Consumers may request theirs with an online form available at their website, or by mail, phone, or fax. As described on the list above, these options all entail several bank fees, so it’s worth doing your homework before choosing a second chance account. Go for the one that best fits your needs and is available in your area and monitor your account movement carefully to avoid unnecessary fees. On that same note, try to always have enough money in your account to cover for any mistakes. Given that the majority of these alternative accounts offer mobile and online banking, you can easily check your balance whenever you wish. There are also many services out there that can help you control multiple accounts from one place, like LevelMoney, Mint, or You Need a Budget. It is estimated that around 7% of Americans do not have access to a bank account. Do you belong to that category? Have recently applied unsuccessfully for a new bank account? If so, ChexSystems might very well be the reason why banks reject your application. So you may very well ask the question: what bank does not use chexsystems? You can, of course, survive without a bank account, and many American households do just that. Many do it by choice, either due to distrust of the financial system or due to privacy concerns. But having at least one bank account can make life a lot easier indeed. So what is this ChexSystems, and why look at banks without that service? And what banks don't use Chexsystem? We all have a fair idea of how the credit system works here in the US. You apply for a credit card or loan, and the lender checks your credit score. This score is kept by information collection agencies called "credit bureaus." Most lenders use scores from these three national credit bureaus to check your credit scores: Equifax, Experian, and the TransUnion. ChexSystems is a consumer reporting agency similar to these credit bureaus. But instead of your debt repayment history, it looks at how you handle your deposit accounts. It is estimated that nearly 80% of US banks use ﻿ChexSystems score to screen customers who apply for a deposit account. With credit bureau scores, you at least have the chance of having a positive rating. So getting your name on their rolls can be a good thing for you. But with ChexSystems, it is all bad news, as they only keep a negative score. They are like the criminal records system maintained by the state and police: you are only in there if you have done something wrong. The sad thing is that you don't have to do anything serious, like intentional fraud, to get your name in the ChexSystems records. It could be anything from unpaid fees/bills and overdrafts, to bounced checks. The system converts all these instances into a score, from 100 to 899. The lower your score, the worse your overall rating. Alternative Banking Options: The "Other 20%." If 80% of banks use the system, then it stands to reason that you have a better chance of getting a new bank account with the other 20% that do not use this system. These are credit unions and local/regional banks that do not use Chexsystems or telecheck. Incidentally, all is not lost if you have a bad ChexSystems score. Yes, all the major banks do base their approvals on this score, but there are several who offer consumers some leeway. These banks provide the option of opening what is called a "second chance account." And it means exactly what it sounds like: you get the chance for a fresh start, but often without all the perks and services available for standard accounts. Unfortunately, their online application is only available for residents of the following states- Alabama, Arizona California, Colorado, Florida, New Mexico and Texas. For residents of other states, another kind of online checking account is available, but with minor differences. Unfortunately, their services are not available in Alaska and Hawaii. Try opening a BBVA Compass Free Checking Account! BBVA is one of the top banks in the US and they may give you a REGULAR bank account when you apply online... even with bad credit history or Chexsystems records. You will need to visit your local branch to apply. A Green Dot Reloadable Prepaid Debit Card that functions as a regular bank account. You are free to add cash, withdraw cash, or spend it using the card. There are small fees involved. You can apply online for this card. A Go Bank Checking Account that can be applied for at WalMart, online, or through the Go Bank app. Sign up is free online, and there are monthly fees that can be waived by making direct deposits. No minimum balance or overdraft/NSF fees are required. Branches in Alabama, Florida, Georgia, Illinois, Indiana, Kentucky, Louisiana, Maryland, Mississippi, New York, North Carolina, South Carolina, Texas, Ohio, Pennsylvania, Virginia, West Virginia. This option is exclusively for serving and retired members of our armed forces. If you have a service record in the Army, Marines, Navy, Air Force, Coast Guard, Army and Air National Guard, you are eligible to apply. Their services are also open to DOD employees and contractors, as well as family members of veterans/active personnel. If that includes you, then you have access to banking facilities that are available all over the US, in nearly 300 locations. This Credit Union does not check ChexSystems scores. You get access to a full package of banking and financial services, including a free checking account with zero minimum balance requirements. You will need to visit the local branch in person with all required records and documents to apply. Branches in Alabama, Delaware, Florida, Georgia, Kentucky, Indiana, Illinois, Maryland, Michigan, Missouri, New Jersey, New York, North Carolina, Ohio, Pennsylvania, South Carolina, Virginia, West Virginia, Wisconsin, and the District of Columbia. A basic minimum online deposit of $50. Now, this method is an indirect way to get access to a checking account facility. So far, there have been no indications that Ameritrade uses ChexSystems, but this situation may change in future. So please keep that in mind when you apply online for a brokerage account with them. They are Lowell, Massachusetts, based bank with over 120 years of operational history. This might be a good option if you have banking related troubles and stay in the state of Massachusetts. They only have two branches, one in Lowell and another in Dracut, MA. Despite being such a small bank, they do check your ChexSystems score. This regional credit union offers a Fresh Start Checking account for people who are prevented from gaining access to banking due to poor ChexSystems scores. If you live in any of the 12 states mentioned here, this credit union might be a good option. Their branches are active in Texas, Arizona, California, Connecticut, Georgia, Kansas, North Carolina, Ohio, Pennsylvania, and Virginia. All you need to do to gain access to their checking account is to join their credit union, and deposit and maintain a minimum balance of $100. They do charge a monthly fee of $10 for their services. What Big Banks Use (Or Don't Use) Chexsystems? Does Bank of America use Chexsystems? Does Wells Fargo use Chexsystems? 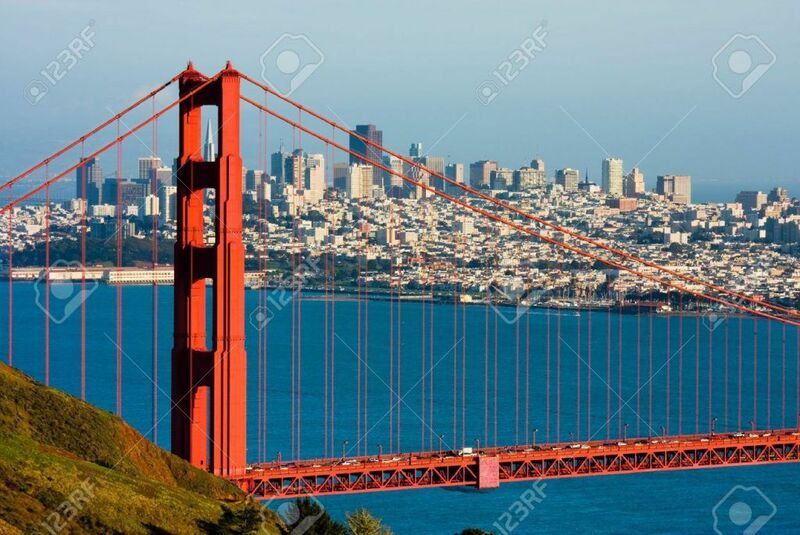 Does US Bancorp use Chexsystems? Does BNY Mellon use Chexsystems? Does PNC Bank use Chexsystems? 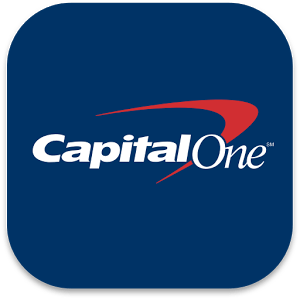 Does Capital One use Chexsystems? Does TD Bank use Chexsystems? Lacking access to banking can have a devastating effect on your finances. But you don't have to let a poor ChexSystems score block your access to essential banking services. Wherever you are in the US, there are always affordable and lenient banking services available near you. So, getting a checking account while on chexsystems is not that hard. All you need to do is look for banks that don't use early warning services. 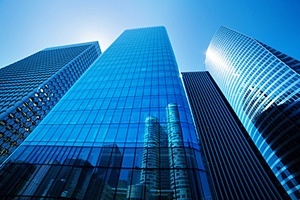 This article should have adequately answered your question: "what banks don t use chexsystems?" We really hope this list will give you options to start rebuilding your banking records for a more prosperous financial future. Thanks for visiting, and all the best! 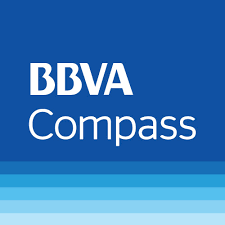 Check out the BBVA Compass Free Checking Account! It's the best alternative to access to a REGULAR bank account. And the best part, you can apply online!